Dr. Ayres treats a broad cross section of patients and specializes in treating injuries to the shoulder and upper extremities, pelvic girdle and spine, and the foot and ankle. 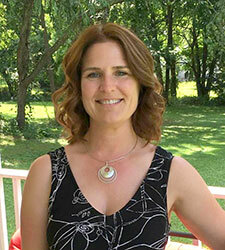 She has a great deal of experience treating patients with overuse conditions of the arms, wrists, and hands. Currently, she is pursuing continued education in manual therapy. Prior to her physical therapy training, Dr. Ayres spent her early years on a farm and has traveled the world extensively. In her spare time, she continues to travel from near to far and to learn new leisure activities.